I’m most likely going to get Rank 1 Speeder Training (As I managed to get the Referral Speeder) and get full Class and Exploration experience boosts on all my alts which is unfortunately 425K. I’d like to get the Companion one on each eventually, but at the same time it may just be more worthwhile to buy Companion gifts instead. It’d probably help my Sorcerer though–not having much luck with Companions there. The lvl10 perk is well worth it IMO. 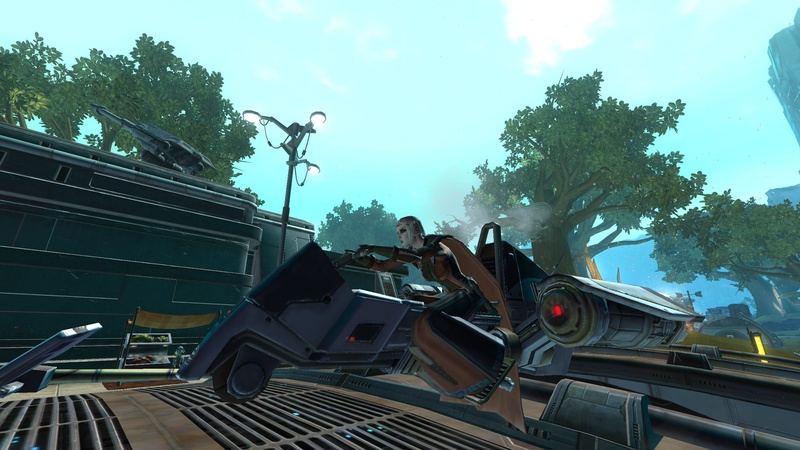 No additional training costs and I have my free pre order speeder on all my toons. The planets become tiny and it saves time when all I’m doing is burning through class story. I unfortunately did not get one of the special editions of the game (despite having preordered wayyy in advance) so I lack a free speeder. If I had one, I would probably more easily make the decision to buy speeder access at level 10. I couldn’t be happier with the leveling perks. I happened to drop 825k on two separate toons plus the lvl10 speeder perks. It allows me to play exactly like I want: level as a tank or healer, zero missions or side quests, and lots of FPs and WZs. +15 levels on my Powertech and not a single mission outside of class story. Best credits I have spent so far. I’m in agreement. I think that they did a good job in allowing us to tailor our alt playstyles with these perks.